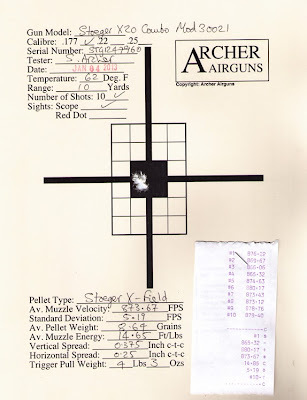 Archer on Airguns: Stoeger X20 Wood Combos Back In Stock - Test Targets Are Good. 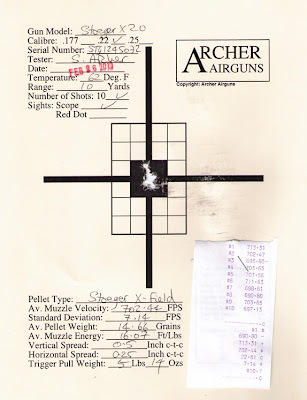 Stoeger X20 Wood Combos Back In Stock - Test Targets Are Good. 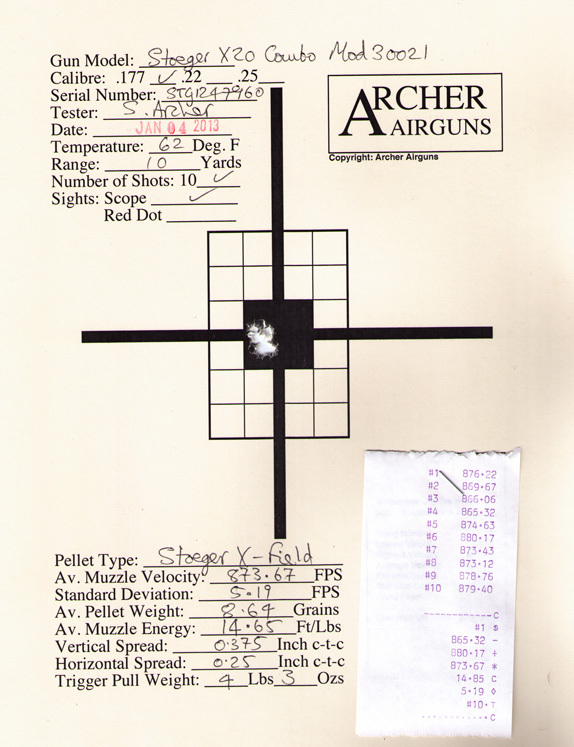 We have just received another batch of Stoeger X20 wood stock scope combos in .22 caliber. These excellent air rifles are supplied with an excellent 3-9x40AO scope and a strong, one-piece mount. Archer Airguns ensures that the scopes are mounted and sighted-in correctly so that you can shoot this airgun straight out of the box. And did I mention that we have them at a special price of just $159.99??? The X20 wood stock combo is excellent value for their price and are, in my opinion, unfairly overlooked by many buyers. 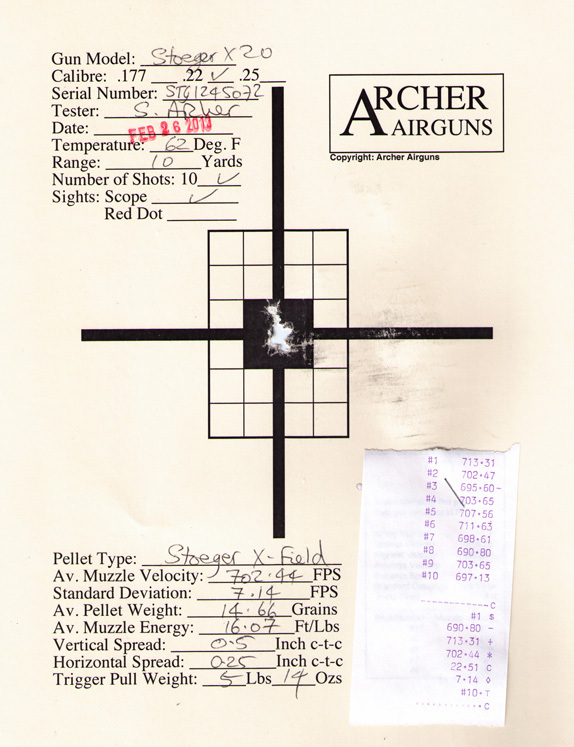 They offer good build quality - both internal and external - together with easy cocking and accurate shooting, as the following Gold Service test targets show. We also have the X20 combo with synthetic camo stocks. Both Stoeger X20 models are available from Archer Airguns at much lower prices than many big box stores. The only downside to these airguns is the somewhat heavy and gritty trigger. But we have the solution for this too! It's the GTX Generation II trigger which transforms the performance of these air rifles when it's fitted instead of the factory trigger. Just go to the GTX product page and scroll down to read the enthusiastic customer comments.